This is what is going to be on everyone's mind once Jupiter- (what you believe, your luck, the justice system and the 'church') moves into CANCER on June 25th 2013. This placement that last happened twelve years ago- will repeat itself for 13 months. The big deal is------ that come Aug 2013 the fireworks of what feeds you- houses you and that h20 that you need to live is going to start. Actually, its already started with the worldwide march against the seed -greed- company, Monsanto. The fact that the Supreme court in America gave them the green light, while everyone else (just about) in the world put up a STOP sign- tells you how very much everything in this country is bought. But this is almost June, so lets talk about what goes on before then...........today Mars has moved into the sign of Gemini. Its at zero degrees. That's the degree of the Solar Eclipse that ran through Calif. in May of 2012. It ran through Calif and across the Pacific Ocean to Hong Kong. When Mars 'triggers' a Solar Eclipse point very often you have extreme news - important news- big news- in areas that were tied to the path of the eclipse. My thoughts, as they have been posted already since April-are that we in Calif. are DUE for a big shaker. I am surprised its not happened already. Especially since we just had THREE eclipses. There was extreme weather in Oklahoma. But that wasn't tied to the Solar Eclipses so much as the Uranus (unexpected) square to Pluto (power). Try to think back to last May. I know its seems like a lifetime ago......and it was. But......what was on your mind to manifest at that time? What ideas did you wish to put out on the table? How was your world then- compared to now? AND are you closer to your goals? IF NOT.........time to wipe the slate clean and start off on a new track. And the new track is ----- WHAT do you need for food, shelter, and how much thirst do you have to create a new life? Below is a quick summery- read your Sun and Asc. sign if you know it. Aries- PLAY BALL. AND THEY'RE OFF. SHOW YOUR HAND.. LET THE RACE BEGIN! Who are you betting on? Shelter in the storm-that's the focus in between the hoola hoop dance you are doing. Taurus- Hidden talents must come out now. Why don't you want to shine? Time to talk up your belief in yourself. My partner won't support me won't work anymore........why don't YOU support you? Gemini- MONEY and the housing Market. Its there to be made. But yes, you will have to talk it up. That's not a problem, but your focus is. We know you want freedom... but like the bummer sticker says- its not free....at least not right now. Cancer- ITS YOUR YEAR. 13 months to build it up. Family-births, Garden of Eden, Treehouse and all. Go for it. Leo- We know its all about you. And the new path you've boldly struck out on! Just don't forget the invisible people/power that helped you to launch your own TV show on Mars. And they said it couldn't be done............key is to keep it up and running during the solar flares. Virgo- FRIENDS in the house. Food is tied to Friendships for you. You are totally due to expand in the 'hood. 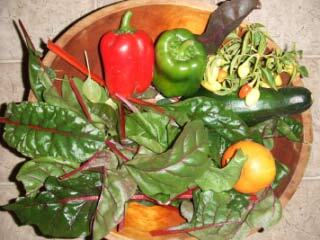 If you have a little cart on the corner selling everything organic and homegrown all the better. You could teach others how to grow food - community garden - its time is here. Libra- You are moving up in the world. If the family wasn't so demanding you'd already be on that retreat where you'd meet the life partner that you sorta sometimes want. The thing to remember is who helped you get where you are- needs you now. So you have to balance freedom and fun with duty and parents/family. Scorpio- Thank god for Saturn being in your sign right now! With Jupiter about to trine it all the hard work you've done since Nov is about to pay- BIG. Keep the faith. It and hard work is the only way to beat back the crazy what 'ifs' in life that haunt us all. Sag- Its totally possible that the powers that be could be a bit fickle right now. So its best not to put all the hopes in one basket. You are always in the hope mood, but don't be foolish with the blessings thrown your way. As they say- 'easy come easy go'. Don't forget plan B.
Capricorn- Me on My.... little miss riding hood and the wolf are doing a dance. If it looks too good to be true- it likely is. There is a bit of a shocker coming your way in Summer 2013. And the entire show is going to change. ALL areas - home, partner, the boss, and your own strength to face the changes. So keep the body/mind strong. Aquarius- Keep your inventions to yourself. Yes, they will be stolen. Don't you know we are in the Kali Yuga and the kettle of mischief liars and stealers is thick? Don't go shooting off at the mouth at co-workers either......that one will cost you more than your job! Best to let steam off by going to Magic Mountain and screaming loud on the scariest ride you can get on. Pisces - The joy of being a water sign when Jupiter goes into Cancer!! GRAND TRINE in Water for you this summer. Romance, creative and FUN times are ahead. Don't think about how you will PAY for them- with the ups and downs of money right now. Just be open to the gifts that the universe wishes to give. And play lotto once in a while would you? Don't just dream it- live it.